So it finally happened. I received pictures from a family Thanksgiving Dinner taken from an iPad that are so disgusting to look at I would have rather for them to not have been shared with me. I normally would be the person taking the photos and distributing digitally or on the rare occasion the physical print. I'm going to say it again: Never take family photos and videos from a tablet! That includes all iPads, iPad Mini, Galaxy Tabs and all Android variants. The image sensor that converts red, blue and green light into an electronic signal on most tablets is usually very simple and bland without going into details on signal processing and color separation. It takes that signal and plots it into a 1024 pixel width x 768 pixel height image. That equates to 786,432 pixel or .8 Megapixels. This is not what you want. .8 Megapixels is of the quality that digital cameras were producing 20 years ago. Regular 35mm film produces somewhere between 4 and 16 Megapixels depending on the quality of film used. So you've already gone down in the pixel count substantially and you now have to factor in noise and digital compression. What you see on the large display screen is not what is saved on your device. What is happening while the image is being displayed on the screen is the display is receiving raw video and images from the image sensor in near real time. When the shutter button is pressed the digital signal processing and occurs in the sensor a compression algorithm is applied to reduce the size of the file stored to the device. Usually the compression algorithm applied is high lossy compression and the detail captured is lost to make the file size portable. 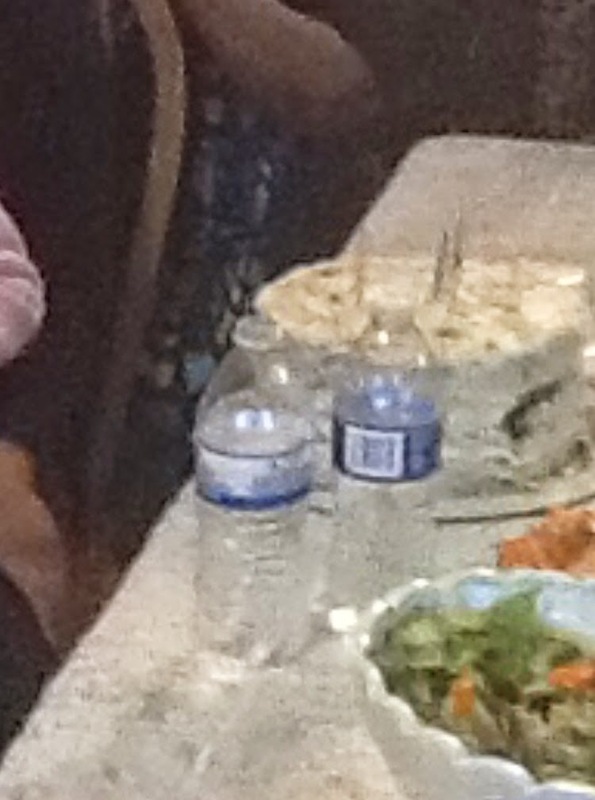 If look at the picture below you can see that there is a loss of detail on the water bottles, cake, salad and there is a great deal of noise in the picture as well. The main problem with this photo is the iPad sensor is that it's unable to adjust the exposure due to the light in the background and all detail is lost on the faces in the photos. Most modern point and shoot cameras can detect smiles or faces and can handle all the exposure and saturation settings. I strongly recommend capturing moments using a modern point and shoot camera with 16+ Megapixels. Also, most of these cameras can also take video and images simultaneously. I do not recommend high end smartphones even though it is possible to take high quality photos, it requires a great amount of skill with framing, light composition, tweaking of exposure settings and minimizing movement of the smartphone operator to get the best shot. This is a bit to much work for the average user and a point and shoot can take out most of the complexity of shot composition for the average user. Now that I've said all of that; you can share those digital moments using your iPad with a Camera Connection Kit. 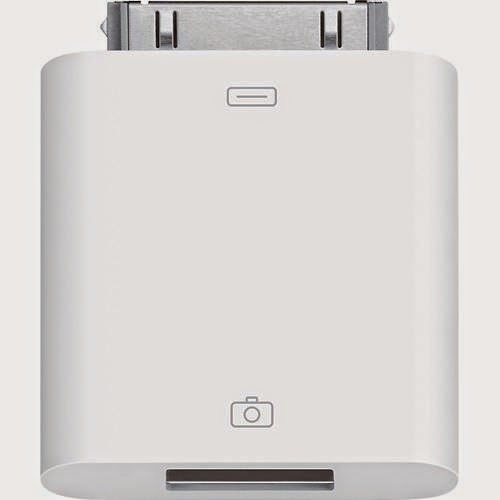 This will allow you to share images from either the memory card from the point and shoot camera or the usb cable included with your camera which attached to the camera if you don't know how to take the memory card out. I feel that most low technically skilled users utilize iPad for taking videos and photos because it takes the complexity of navigating the file system of operating systems and attaching files and photos using an email client. It's 2014 and I have family members who are still unable 1) navigate a file system to save and retrieve an image and 2) use a local mail client and/or webmail in windows to and navigate the the file system to attach and image. These are basic skills that should have been learned by users decades ago but this simplicity and ease of use takes fine grained control away from the user and are left with less than desired photos. 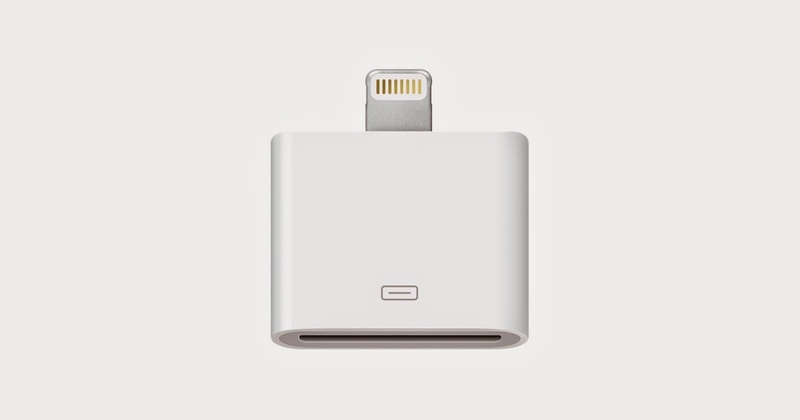 You need to figure out which connector you have: 30 Pin or Lightning and buy the appropriate connection kit.